One other thing I’ve been thinking about during this season of Thanks-giving is how our traditions have morphed over the years into something else…the meaning of Thanksgiving can get lost in the pre-holiday grocery shopping hysteria and meal planning. I don’t know how my Canadian friends “do” Thanksgiving, but around here we need to figure out family logistics–Whose home will be invaded? Who made what last year? We can’t have a proper Thanksgiving if we don’t have: A. Turkey; B. Stuffing; C. Some type of potato/starch; D. Cranberry Sauce; and E. Pumpkin pie and other desserts. We must also eat the equivalent of two days’ worth of calories, and the men will zonk out in front of the football games and the women take out the shopping papers. That’s Thanksgiving, right? I’ve often tried to imagine what the first unofficial Thanksgiving was like back in 1621 Massachusetts. I picture a group of people, tight-knit by this time after all they’ve been through–a long sea voyage, disease, a harsh winter, near starvation, followed by the hard work of a growing season. Finally, a glimmer of hope after they bring in a harvest. The coming winter will be no less harrowing than the last, but this time they’re better prepared. They sit down to have a celebratory meal, and some guests show up. It’s the locals, who’ve been instrumental in their survival. These survivors owe a great debt of gratitude to the natives. So they sit down and food brings them together. They say a “thank you” to God and Providence for being here, one year later. Perhaps they think of those they’ve lost. Their party lasted for three days, according to the account of Edward Winslow, in a letter he wrote in December 1621. So many times of late I’ve noticed people talking and writing about “being thankful,” but they don’t thank God or include Him in their thanks. Big or small things, my heart’s desire is to say, “Thank You, God for everything you have done and will continue to do.” I recognize it’s because of Him, not some grand cosmic luck of the draw as things click together in my favor. It is by, as Winslow wrote, the “goodness of God..” Thankfulness is a powerful thing, even when things are going wrong or we don’t have as much a we hoped we would. Beautiful reminder, Lynette. Each year, I’m saddened by the attention given to shopping during the Thanksgiving season. It’s important that we remain focused on the true meaning of the season. Great post and awesome reminder. I love your bolded sentence. So true! Thanks for the wonderful reminder to give our thanks to God. One of the things I like about celebrating Thanksgiving in October (I’m Canadian) is that it is so far distant from Christmas that it isn’t remotely logical to kick off holiday shopping with TDay. I’m also a gardener and local foodie, and in October we still have garden produce. About ten years ago we began focusing more on the local food aspect of our Thanksgiving dinner than tradition. Thankfully (ha) we have local turkey farmers! And apparently an exception must be made for cranberries, which don’t grow anywhere nearby. The holiday is on a much smaller scale over all than it is in USA. But still, many people either ignore it completely or don’t think to give GOD thanks. 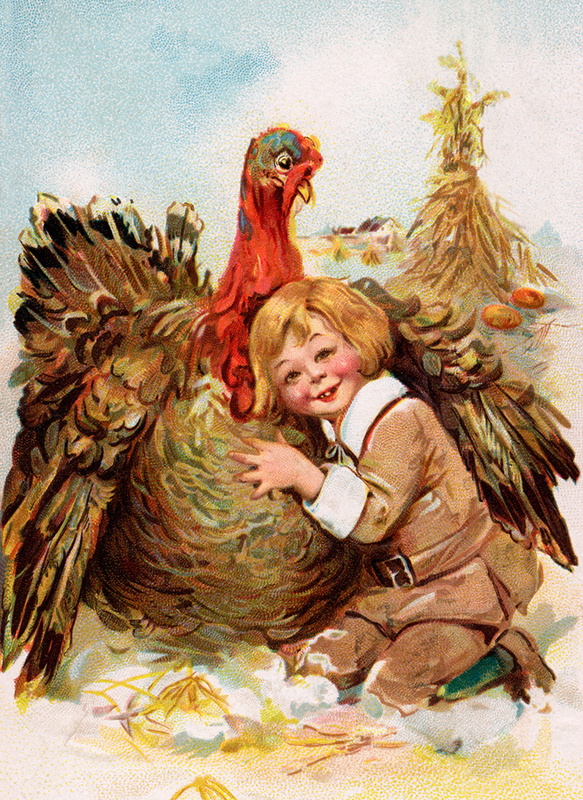 It seems to me anyway, that Thanksgiving has gotten shoved to the side nowadays! We go right from Halloween straight to Christmas as if November didn’t exist. It’s a HUGE pet peeve of mine, unfortunately! I LOVE Thanksgiving time, all the traditions, family time, reflecting on what we are truly grateful for & focusing on the many blessings God has given us. Not that we shouldn’t do this the rest of the year, but there’s always something extra special about Thanksgiving. Maybe it’s the “magic” of the season, seeing people be more grateful in their actions & more giving or forgiving. And who doesn’t like a nice turkey dinner with all the trimmings :-) We stick pretty much to that meal every year & it’s something we very much look forward too. And I think about the leftover turkey for sandwiches or casserole or what-not! Makes my mouth water thinking about it. I think the gravy on the potatoes for me is this……the Macy’s Day parade on TV and the NFL football game…haha!! Sitting around after a good meal, eating our piece of pumpkin pie with cool whip & cheering our favorite team on :-) You gals can have your shopping lists….just give me the game….haha!! Great post. I think I feel the same as a lot of you. My birthday is in November and I don’t really get to enjoy it. As soon as Halloween is over, Christmas gimics are everywhere! My mom is one of those who stresses over planning Thanksgiving. We have to have turkey–no discussion on that. Then every year my brother and mother completely stress me out! It never feels like a thankful relaxing day! Happy Thanksgiving Lynette. Hope you are able to enjoy it! I love Thanksgiving and am so thankful for the family and friends that God has given to me. This year we are doing something outside the ‘traditional’ meal. Since my sister and I have to go to our respective in-laws for an early traditional lunch we decided to have an Italian thanksgiving meal for our family’s dinner. Believe it or not, it was well received by all our guests and everyone wants to bring something Italian to the table. What a blessing!